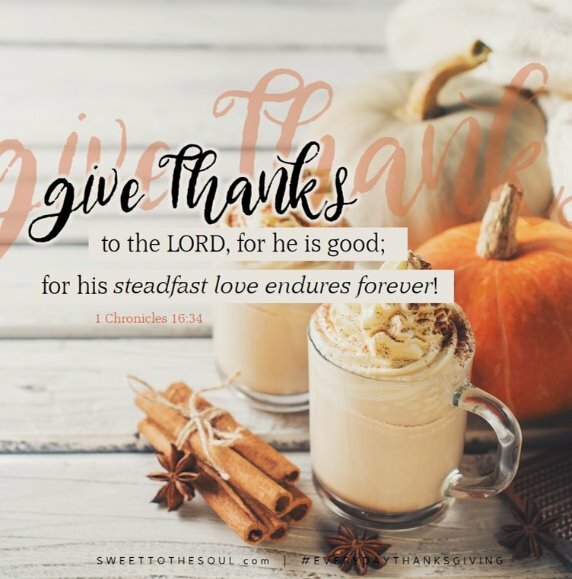 ​"Oh give thanks to the LORD, for he is good; for his steadfast love endures forever!" I say it, and then I duck my head, ashamed as I realize how petty I sound. How I wish it were the one and only time I expressed such discontent. Lately, I’ve been begging God to season the words that come from my mouth with grace and gratitude. Too often, though, they’ve tasted of bitterness and dissatisfaction. In my mind, I’m grateful … really I am. I know how good I have it. I know how blessed I am. I simply have to look around to see it. A warm, fully furnished house to live in. Shelves and a refrigerator filled with food. Healthy children. A committed husband of 27 years. Work I can do from home. The list is truly endless. Yet, here I am, complaining at the slightest disturbance. My mind realizes how good I have it, but apparently my heart hasn’t gotten the memo yet. If it had, I’d be singing endless songs of thanks instead of whining about how unjust a situation is and how rotten I have it. Grumbling comes easy when we expect to receive what’s never been promised. An easy life. Fast Internet. No bugs. Tasty, quick meals. When that doesn’t pan out, we spew our disappointment. When we focus on what we want instead of the gifts we receive, our hearts get all twisted and sour. We see this with the Israelites. When they fled from Egypt, they expected paradise, a land flowing with milk and honey, as God promised (Exodus 3:8). First, however, they had to travel through a land containing only bread and water. And they weren’t ready for that. They expected the Promised Land, but they first had to trudge through the desolate land. Although they were finally free, with God leading them and providing for them, they focused instead on how different it was from what they wanted. So grumbling made its appearance … frequently. From not enough water to a lack of variety in the food, God’s children turned from one thing to the other to complain about (Exodus 15:24-17:7). All because it appeared different than what they had signed up for. We, too, turn to whining when what we receive doesn’t match up with what we expect. So the answer to the grumbling syndrome we’re all prone to is to keep our expectations centered on God’s love and promises. His promises, not what we expect those promises to be. Jesus is all that is true, honorable, just, pure, lovely, and commendable. He is all that is good. Focusing on the Lord and His love for us offer us peace and contentment where bitterness and unrest seek to take root. That’s where intentional thanksgiving comes in. In His enduring love the Lord gifts us with daily blessings. When we make a point to notice those … to notice Him through those … the message of how blessed we are begins to reach our hearts. It’s why I’ve been purposely recording three gifts a day for more than five years. 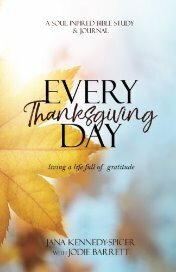 I’ve been counting to cultivate a heart attitude of gratitude. As evidenced by my opening sentence, I still fail to remain grateful at times (maybe far too many times). But when I do, there’s grace, because God’s love never fails. Let’s thank God that His love doesn’t stop when we begin to grumble. It doesn’t stop when we take a misstep that leads us further away from Him. In fact, His love for us lasts for eternity. It’s there for me, and it’s there for you … even in those ungrateful times. And it’s the very reason we can always give thanks! Lord, You are good always, but we often miss Your goodness—complaining when we should be giving thanks. Yet You love us right through our grumbling. Forgive us for our discontent, and saturate our whole being with joy and gratitude. Help us to keep our hearts and minds centered on all that is good, You! Thank you for Your love that endures forever, right through our whining. In Jesus’ name we pray, Amen! 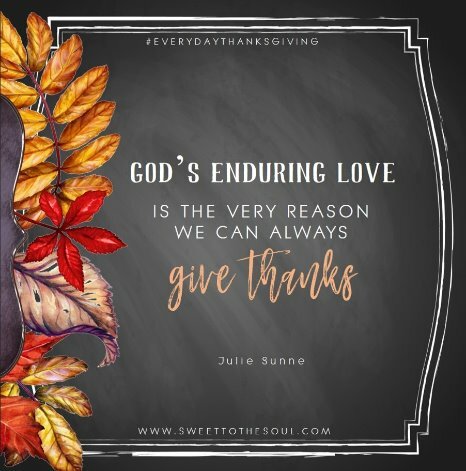 ​Julie Sunne...​Following years of working as a freelance editor and writer while being a full-time mom to four and homemaker, I now feel the need to write and speak about my experiences with God's grace and His divine guidance and strength. 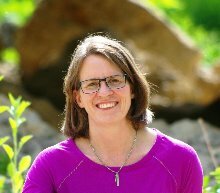 I feel compelled to tell of my struggles and His presence through the messiness of five miscarriage and raising our precious daughter who has lifelong disabilities. My desire is to encourage you in the hope of Jesus Christ in whatever situation you find yourself. Doubly blessed to be writing here again! Thank you for the opportunity, Jana!